Sin Sze Si Ya Temple is the temple built by Yap Ah Loy's workers. 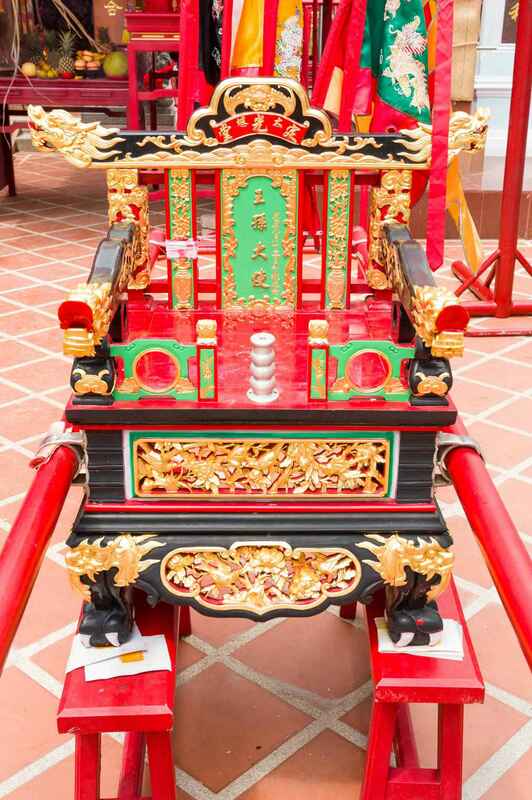 The information board at the front entrance says "The Sin Sze Si Ya Temple was founded in 1864 by Kapitan Yap Ah Loy, it is dedicated to patron deities of Sin Sze Ya and Si Sze Ya. The deities has guided Kapitan Yap Ah Loy to defeat the enemies and defend Kuala Lumpur during the civil war (1870-1873). The temple has witnessed the birth and growth of our great city Kuala Lumpur." This temple is also known as "Sze Yah Temple", under which name it appears in some travel guide books. It is located at 14A Lebuh Pudu, close to the Central Market of Kuala Lumpur. Yap Ah Loy was born in Guangdong (formerly known as Canton) province, southern China on 14 March 1837. His parents lived in the town of Danshui/Tamsui (Chinese: 淡水; pinyin: Dànshuǐ) in Kwai Yap district, Huizhou prefecture. He was a Hakka of the Fui Chiu clan. Yap Ah Loy left China via Macau for British Malaya in 1854. On his arrival in Malaya, he found the place very different from China. The scenery, with tall coconut and betel palms, and the small Malay houses with atap (nipah thatch) roofs, was a new and fascinating experience to him. On his arrival at Malacca, Yap Ah Loy was given shelter by one of his clansman called Yap Ket Si. He was then taken to a tin mine in Durian Tunggal, where he stayed for 4 months. At the end of that period he left for Kesang where he found work in the shop of a relative named Yap Ng. He remained there for a year before arrangements were made to send him back to China via Singapore. Misfortune befell him when he lost all his money while waiting for the junk to set sail in Singapore for China. Instead of going back to Malacca he and another of his relatives named Yap Fook traveled on foot to Lukut in Negeri Sembilan. In 1868, the third Chinese Kapitan of Kuala Lumpur, Yap Ah Loy, emerged as leader, and became responsible for the survival and growth of this town. During the early times, Kuala Lumpur was beset many problems, including the Selangor Civil War which devastated the town; it was also plagued by diseases and constant fires and floods. Kuala Lumpur was destroyed several times, but each time Yap rebuilt the town. He strove to develop Kuala Lumpur from a small, obscure settlement into a booming mining town. In 1880, the state capital of Selangor was moved from Klang to the more strategically advantageous Kuala Lumpur. In 1881, a flood swept through the town following a fire which engulfed it earlier. These successive problems destroyed the town's structures of wood and atap (thatching). As a response, Frank Swettenham, the British Resident of Selangor, required that buildings be constructed of brick and tile. Hence, Kapitan Yap Ah Loy bought a sprawling piece of real estate for the setting up of a brick industry which would spur the rebuilding of Kuala Lumpur. This place is the eponymous Brickfields. Hence, destroyed atap buildings were replaced with brick and tiled ones. He restructured the building layout of the town. Many of the new brick buildings mirrored those of shop houses in southern China, characterised by "five foot ways" as well as skilled Chinese carpentry work. This resulted in a distinct eclectic shop house architecture typical to this region. In this developing town, Yap owned a third of all the buildings in Kuala Lumpur, and two third of the urban land east of the Klang River, in addition to his control of the tin mines. Yap Ah Loy also spent a sum of $20,000 to expand road access in the city significantly, linking up tin mines with the city, these roads include the main arterial roads of Ampang Road, Pudu Road and Petaling Street. As Chinese Kapitan, he was vested with wide powers on par with Malay community leaders. He implemented law reforms and introduced new legal measures. He would also preside over a small claims court. With a police force amounting only 6, he was able to uphold to rule of law. He built a prison which could accommodate 60 prisoners at any time. Kapitan Yap Ah Loy also built Kuala Lumpur's first school and a major tapioca mill in Petaling Street of which the Selangor's Sultan Abdul Samad had an interest. After Yap's death in 1885, the population of Kuala Lumpur increased greatly due to the construction of a railway line, initiated by Swettenham and completed in 1886, which increased accessibility into the growing town. In 1896, Kuala Lumpur was chosen as the capital of the newly formed Federated Malay States due to its central position. It was however Yap who was responsible keeping Kuala Lumpur viable as a town during its many setbacks in its early years. Although there are no public monuments to Yap, according to the scholar on the Malaysian history J.M. Gullick, "if you seek his memorial remember that you are in Kuala Lumpur." At the end of 1884, Yap Ah Loy fell ill with bronchitis and an abscess of the left lung. In March 1885, he made little recovery before he died on 15 April 1885 at the age of 47. The doctor examined Yap's body and later confirmed that his death was either due to heart failure or poisoning by the fumes of the charcoal brazier. The doctor also noticed the exceptional brightness of his eyes. He is buried in the large Kwong Tong Cemetery in Kuala Lumpur. 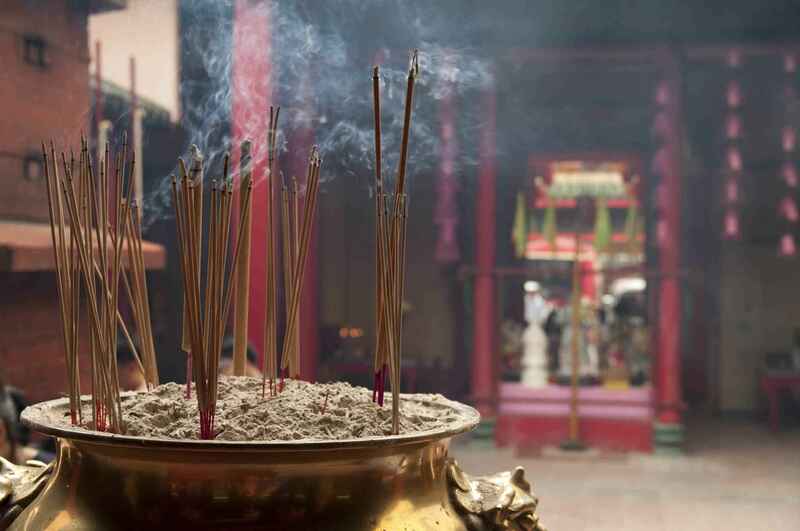 Sin Sze Si Ya Temple | eTips Inc.